This is what happened when I visited hotfile.com this morning. I was using it yesterday though!!!! 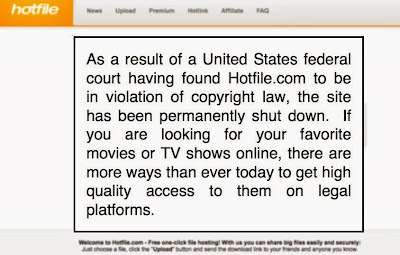 Apparently, hotfile forced to shut down operations and need to pay $80M to movie industry as part of a settlement with the Motion Picture Association of America (MPAA). 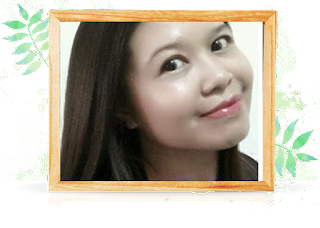 Hotfile is one of prominent cyber locker for people to swap digital files. Sadly I am on of their premium user, ie. paid user. Here goes my cash. The subscriptions still has another 5 months to go. That settlement amounts is a Victory for hollywood interests but a lost to me. WTH!!! MPAA argue this cyber locker are a vehicle for a piracy. Whatever, the opponent argue...still the winner for this lawsuit is MPAA which apparently since Feb 2011. Initial defense by hotfile on the copyright -infringement charges, which claiming on protection under the Digital Millennium Copyright Act, was rejected by Court. R.I.P hotfile.com. I miss you dearly! !